Here are the major festivals of Uttarakhand that you must know. The festivals of Uttarakhand shows a blend of cultural, social as well as natural factors. Many festivals are celebrated to mark the beginning of a particular season or moving of a particular zodiac sign. Even though there have been many changes with the passage of time, but the people of Uttarakhand have kept their traditions alive and keep these festivals with much enthusiasm. Here are some of the major festivals of Uttarakhand. This festival also known as Sripanchami is celebrated to welcome the spring season every year. Goddess Saraswati is worshipped by thousands of Hindus on this occasion. Basant Panchami, according to the Hindu calendar is celebrated in the month of Magh which generally falls in late January or early February. This Festival is celebrated with a lot of energy for 10 days and the people who bath in the river Ganga during these 10 days are believed to get rid of ten lifetimes of sins. According to the Hindu calendar, this festival starts on the tenth day of Jaishtha, i.e, May-June. It begins at a night with Amavasya (no moon) and continues till the Dashami tithi (tenth phase of the moon). Harela is a Kumauni festival celebrated in the beginning of the monsoon season to mark the welcome of the rains. The Shravan Harela is celebrated on the first day of Shravan month. Harela means, ‘day of green’. People who follow Hindu religion and are from the agricultural background consider it to be a highly auspicious day because it marks the beginning of the sowing cycle. People pray for good harvest and prosperity. Phool Dei is celebrated around mid-March on the first day of Hindi month Chaitra, welcoming the spring season. Young girls gather together and visit all the houses in their villages to fill their plates with flowers, green leaves, jaggery, rice, curd, and coconuts. People also offer gifts to the girls. In return, the girls offer good wishes for the wealth of the family. To celebrate the festival people sing the ChaitiRiturain and other songs to welcome spring. Sankranti is derived from a Sanskrit word meaning ‘to move’, and it symbolizes a harvest festival not just in India but in a lot of South-East Asian countries as well. On this day, the sun moves from the Zodiac sign Kark (Cancer) and enters the zodiac sign Makar (Capricorn). The day is also called Uttarayani. Makar Sankranti is one of the major festivals in the Indian Subcontinent. 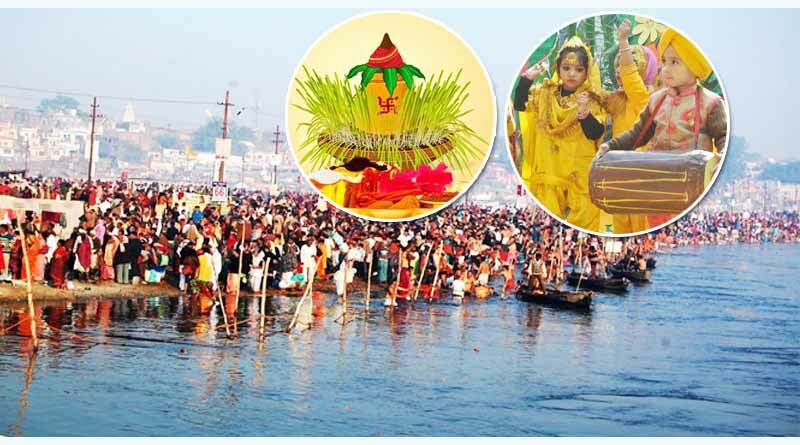 On this occasion, people give away Khichddi in charity and several people also believe in taking dips in holy rivers. People also consider other festivals to be an important part of their life but these are the major festivals of Uttarakhand.